The Suzuki GT125EC pictured here belongs to Martin Wrigley. 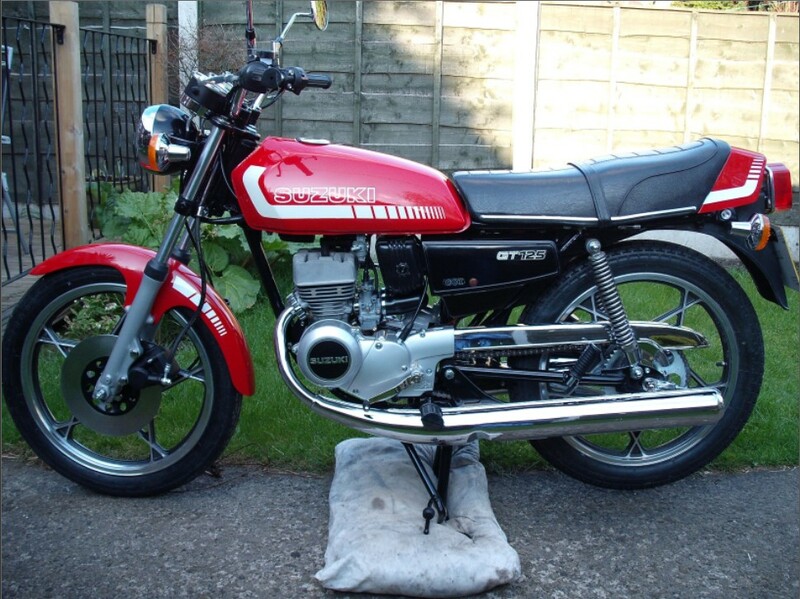 Martin had one of these bikes as a 17 year old, so it was a natural choice when looking for a machine to restore. After looking around the UK without success, Martin bought this example in France. With only two owners and 10,000 miles recorded it was a good project. 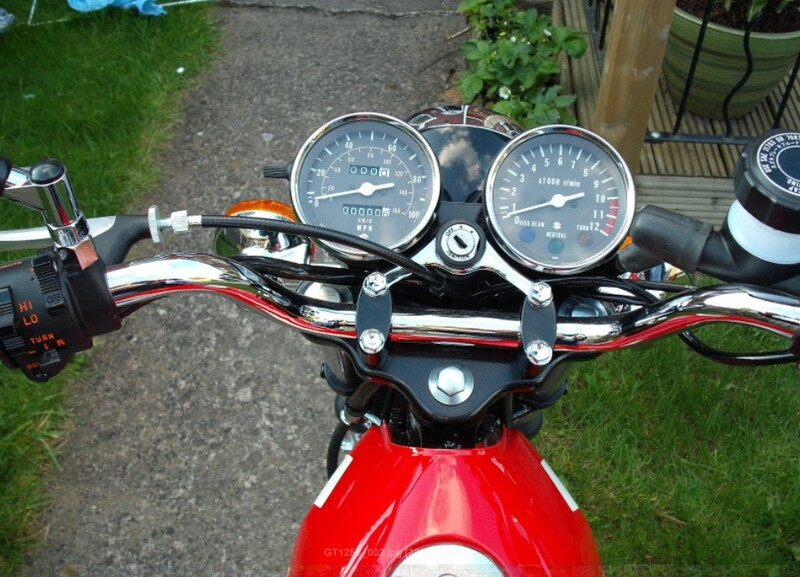 Replaced new parts include; petrol tank, indicators, clocks, cables, some engine internals, all nuts bolts and washers, even OEM tyres have been sourced from Thailand to make this bike as close to when it was built as possible.